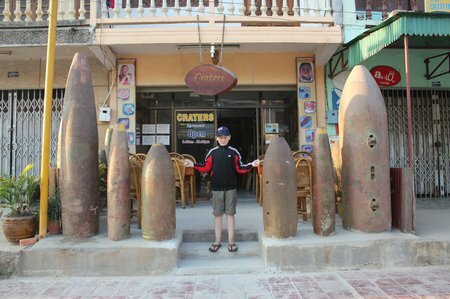 Munitions as decor outside Craters, a local restaurant, in Phonsavan, Laos. And outside the local tourist information office. 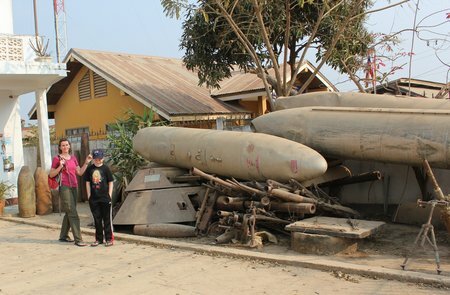 A legacy of a secret war that’s still affecting the people of Laos. This entry was posted in Kid Travel Photos, Laos and tagged Family Travel Laos, Laos, Laos With Kids, Phonsavan, Secret War Laos on March 17, 2011 by wandermom. We’ve all been downed by a cold/flu for a few days so instead of a post, today I’m sharing some photos of the villagers which we took on our way out of the Gibbon Experience . Enjoy! We met these local boys on our way back into the village. They were having a grand old time constructing monster balls of mud. 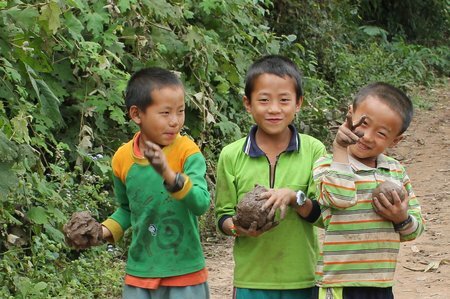 This entry was posted in Kid Travel Photos, Laos and tagged Family Travel Laos, Family World Travel, family world trip, Gibbon Experience, Laos, Laos With Kids on February 15, 2011 by wandermom.